Swedish House Mafia have announced dates for one last world tour of farewell shows. 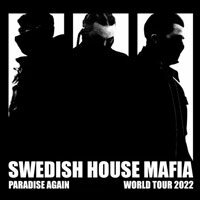 Just prior to their sensational summer headline performance at Milton Keynes Bowl earlier this year, Swedish House Mafia confirmed that they will be splitting. Parting ways at the top of their game, having achieved everything any Electro-Dance Music act can ever dream of, the trio of Axwell, Sebastian Ingrosso and Steve Angello will hit the road later this year for one last tour of farewell dates. The past 7 years have seen the trio become the first DJs to ever sell out the legendary Madison Square Garden, in addition to performing forever-memorable headline sets all over the world, including recent sets at Tomorrowland and Coachella. Swedish House Mafia have been posting cryptic clues around the world, hinting at possible venues for their last ever run of shows. Check out details of the trio's last ever tour below. For further information head over to the trio's official Facebook page. Swedish House Mafia have announced that they’ll release their second compilation album ‘Until Then’ on October 22nd. The album will form the official soundtrack to the One Last Tour and is the follow-up to their double gold-selling mix album ‘Until One’. The album will feature a unique collection of Swedes’ original tracks, remixes, exclusive collaborations, club favourites and solo productions. ‘Until Now’ highlights include the latest Swedish House Mafia single ‘Don’t You Worry Child’, set for release on October 7th, the previously unreleased Coldplay Vs Swedish House Mafia ‘Every Teardrop is a Waterfall’, global club anthems ‘Calling’ and ‘In My Mind’, Steve Angello and Third Party’s ‘Lights’, the Swedes’ exclusive remix of Usher’s ‘Euphoria’, plus more previously unreleased tracks. 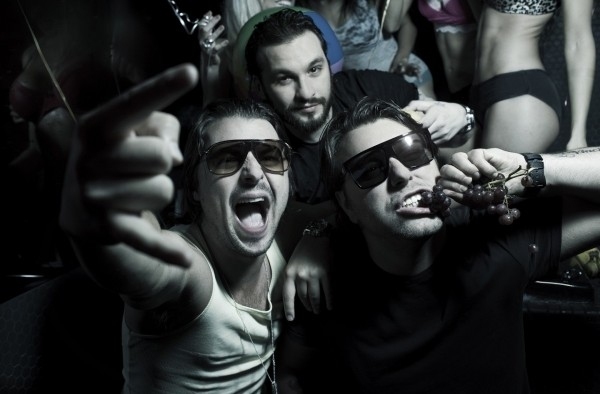 Swedish House Mafia are to officially reunite for a massive show at Stockholm's Tele2 Arena. Last night Swedish House Mafia reunited for a set at Ultra Music Festival. This competition has now closed. Thanks to everyone who entered. Congratulations to Ray Mather! Swedish House Mafia have announced that their documentary film, Leave The World Behind, will make its UK debut on March 14 ahead of a cinema release later this year. Adding to the build up towards the release, Stereoboard have two pairs of tickets to give away for the one-off screening which takes place at London's Odeon Leicester Square.